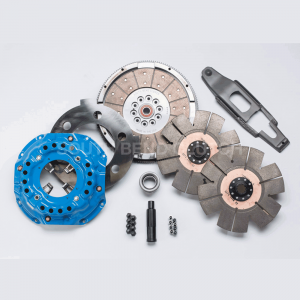 This "build to order" South Bend Clutch Competition Series Double Disc clutch kit for your 2008-2010 6.4L Ford Powerstroke is an SFI approved competition performance level clutch and has been rated for 850 horsepower and 1400 ft/lbs torque. 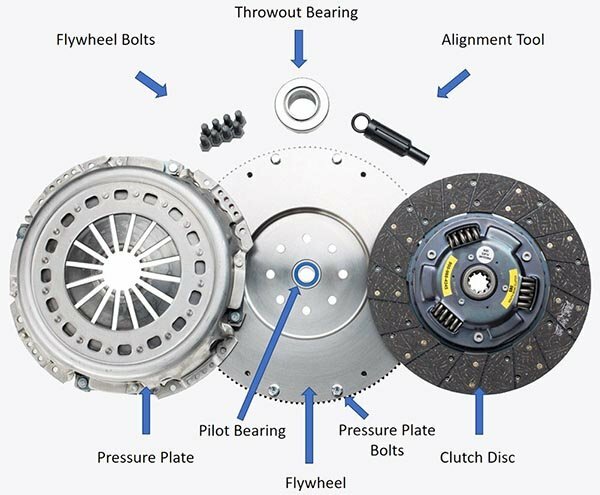 South Bend Clutch Competition Double and Triple Disc Clutches are Cryogenically Treated for Superior Strength. Cryogenic Freezing creates an even distribution of molecules in the metal. This new consistent grain structure distributes the flow of energy evenly throughout the entire object, eliminating stress points. With no weak points the metal is stronger and more durable than ever before. NOTE: It's very important to Break-In your clutch with 500 miles of stop and go driving before you pull a load. Your clutch will last longer if you avoid down-shifting whenever possible. Down-shifting flexes the pressure plate, causing uneven wear. Just remember, Use your breaks instead--they're are alot less expensive to replace! South Bend Clutch, Inc. warrants that our clutches are free from defects in workmanship and material under normal use and service. The obligation of South Bend Clutch, Inc,. under the warranty is limited to repair or replacement of the defective product, which fails within 12 months or 12,000 miles. We will not be liable for losses that might be claimed as a result of the failure of any part, nor shall we be liable for damages or injury to any persons or property resulting from the misuses or improper installation of any part subject to this warranty. South Bend Clutch, Inc. reserves the right to examine all parts returned for warranty claim to determine whether or not any such part has failed because of a defect in material or workmanship. Our obligation under this warranty shall be limited to repairing, replacing, or crediting, at our discretion, any part found to be defective. Products used for High Performance and/or Racing purposes which they were not originally engineered for, will not be covered.